Topping the energy efficiency charts are Ductless Heat Pumps, also called Split Systems or Mini-Splits. This heating and cooling option has been popular around the world for many years and is now a favorite in Seattle. Energy savings of 25-40% vs traditional electric heat make it a favorite of Seattle consumers and local utilities alike. Our Heating & Cooling Specialists are experts in ductless split systems, and can design and size the right one to fit your home and budget, as well as advise you about available utility rebates up to $1200 from Puget Sound Energy and Seattle City Light. These systems are designed to provide both heating and cooling for homes with no or limited ductwork. They work similarly to air source heat pumps as they bring heat from the outside into the house for the winter, and then reverse to cool the house in the summer. 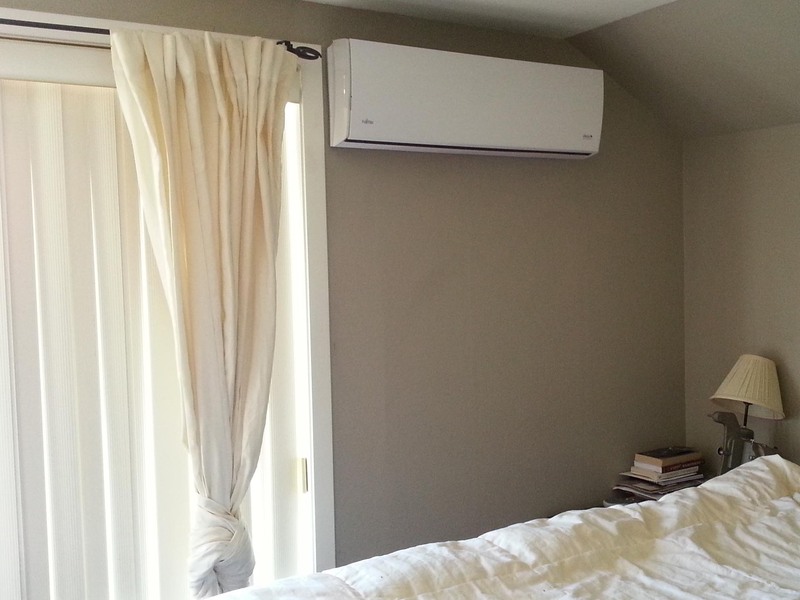 The term ductless split system and ductless heat pump are interchangeable. 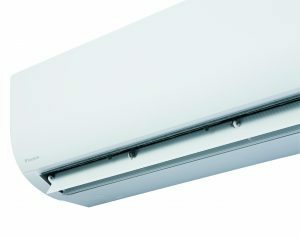 It’s called a split system or mini-split because there is an outside heat pump component connected to one or more indoor “heads” or wall mounted units. Therefore the equipment is split into two (or more) parts. Fox’s Heating & Cooling Specialists recommend top ductless systems from Daikin and Fujitsu that both provide excellent quality heating & cooling. While Daikin is our primary manufacturer, Fujitsu offers great products in different sizes. Between the two brands we can meet the needs of every home and budget. The immense popularity of the ductless split system or mini-split reflects their many great features. Ductless Systems are highly regarded as the most energy efficient option for heating and cooling electrically heated homes. However, as Fox has installed many ductless split systems around the Puget Sound, we noticed that not everyone is using a ductless system to replace whole home electric heat. Many old Seattle homes were built with ductwork on only one floor, or are missing ducts in newer additions to the house. Heating and air conditioning in those homes is uneven, often with one floor being super hot or cold when the other is just right. 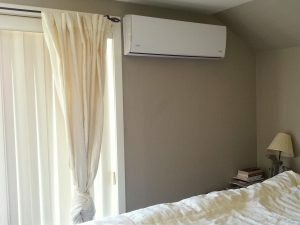 A ductless heat pump mini-split is a perfect addition to a home with insufficient ductwork, as it will help even out the heating and cooling and make everyone more comfortable. We can easily zone your home for even comfort from room to room, or floor to floor. The first is proper sizing of the ductless heat pump components to fit your home, condo or townhouse. That is a little different than sizing for an air source heat pump, as the physical house layout has to be considered. The number of components and capacity of the system affect price, along with any special features you desire. For example, if you are installing a ductless heat pump in a big open basement, you might have a smaller system with one indoor unit capable of heating and cooling 800-1000 sq ft. But for the main part of the house, you may need several indoor units as there will be barriers to airflow in your layout. Your Fox Heating & Cooling Specialist will explain more and work with you to create an effective split system. The second one is the complexity of the installation, including any needed electrical work. The quality of the installation is critical to ensure the proper performance of the heat pump, delivery of the energy efficiency and long life of the parts. That’s why Fox’s Heating & Cooling team focuses on continuous training for ductless heat pump installation. WHY CHOOSE FOX TO INSTALL YOUR DUCTLESS SPLIT SYSTEM? Fox’s Heating & Cooling team is manufacturer trained and committed to providing you the highest standard of care. We are a 3D Platinum Dealer with Daikin AC, which provides us with special offers and better understanding of how to best assist our neighbors and customers in purchasing the best system for their needs. Fox Plumbing & Heating is proud to serve customers across Seattle and Greater King County. Our team is ready 24/7 for all of your plumbing and HVAC needs. Check our service map and call Fox Plumbing & Heating to schedule your ductless heat pump consultation or service appointment today. Or fill out the contact form on the right side of this page, and we’ll call you!